It was a brutal week for the big ships as rates tumbled on all routes. A BHP Billiton derailment in West Australia sparked fears of a shortfall in shipments leaving the field clear for others to drive rates lower. Latest reports suggest operations could resume early this week. The West Australia/China run closed at $6.75 compared to $8.30 paid Monday. Timecharterer trading was negligible, with a report of a 175,000 tonner fixing at $14,000 for a NoPac round proving unfounded. On Monday, the BCI NoPac round was assessed at $18,021. The market collapsed in the Atlantic, with Brazil/China cargoes fixed around $16.00 to $17.00, while charterers aimed to fix at $11.00, basis Saldanha to Qingdao. In the North Atlantic, the divergence in rates between transatlantic and fronthaul was quickly narrowed, as business fixed on voyage from St.Lawrence to the East at rates nearer to the low $20,000. Transatlantic timecharter rates were barely in the teens. Physical activity triggered a major sell-off in paper, with November and December both losing over $7,000 daily in a week. A relatively uneventful week, especially when compared to the Cape market. The Pacific was under pressure all week due to over tonnage, particularly on the early positions, with owners forced to lower their expectations to find cover. Indian coal was one of the few routes to remain active, but rates dropped from around $13,000 for a Kamsarmax the previous week, to fixtures being concluded at $11,000 by the end of the last week. The North Atlantic fared better, with a steady amount of new business gradually soaking up tonnage, sources suggested that voyage rates had been showing improved returns than the implied timecharter levels. South America was less active than the previous week, but rates remained steady. Period fixing was sporadic and rates have eased in line with falling FFA values, with a modern Kamsarmax fixed for one year at below $13,000. It was another negative week on the BSI as pressure remained on rates in the Asia arena, but with some resistance evident. There was limited period action, but an Imabari 63 open North China fixed for a year in the low-mid $13,000s. Overall, Atlantic routes were again negative, but more enquiry from the US Gulf could reverse the trend. 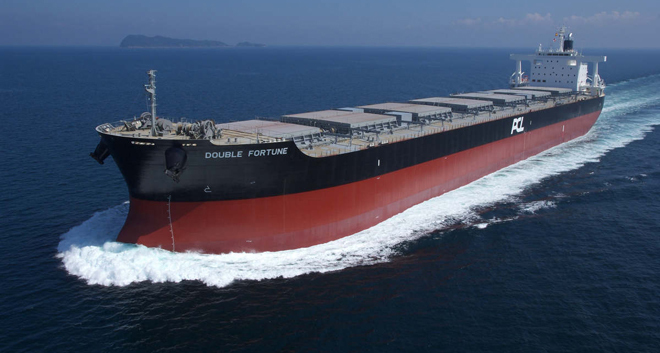 A 55,900dwt open US Gulf, fixed for a petcoke run to India in the mid $20,000s. There was limited action from East Coast South America, although an Ultramax fixed for a trip to the Arabian Gulf at $15,250 plus $525,000 ballast bonus. From the East Mediterranean, a 58,000dwt was fixed from Marmara for a trip via the Black Sea to West Africa in the mid $17,000s. The Asian market remained in the doldrums, a 57,700dwt fixed Davao for a coal run via East Australia/China at $9,500. For NoPac, a 57,000dwt was fixed delivery CJK for a trip via the West Coast, redelivery Bangladesh, at $9,500 and a touch more steel moved from North Asia, as a 56,000dwt fixed South Korea, via CIS, to Thailand at $7,000. The BHSI dropped on early October levels, losing the gains made since mid-October. Rates remained weak in both basins, with limited activity and fixing mostly on private terms. A large Handysize vessel, open Port Arthur, fixed to Upriver, in the mid $15,000s. A 32,000dwt went from North Brazil for a trip with concentrates, to PMO, with a minimum 45 days at $15,000. A 28,000dwt was reportedly booked from Ghent for two to three laden legs at $10,000 with Atlantic redelivery. Similarly, a slowing in Supramax trading had a knock-on effect for Handysize vessels in the Pacific, combined with slow trading after Deepavali in Singapore last week. There were still period takers in the East, with a 32,000dwt fixing from North China for four to six months, but the details remained unclear. A 38,000 tonner open in the Philippines, fixed for a round trip with concentrates, via East Australia, at $10,300.